Our latest shipment of furniture and textiles from India has just been unpacked. Get summer ready with our latest shipment of furniture and textiles from India! 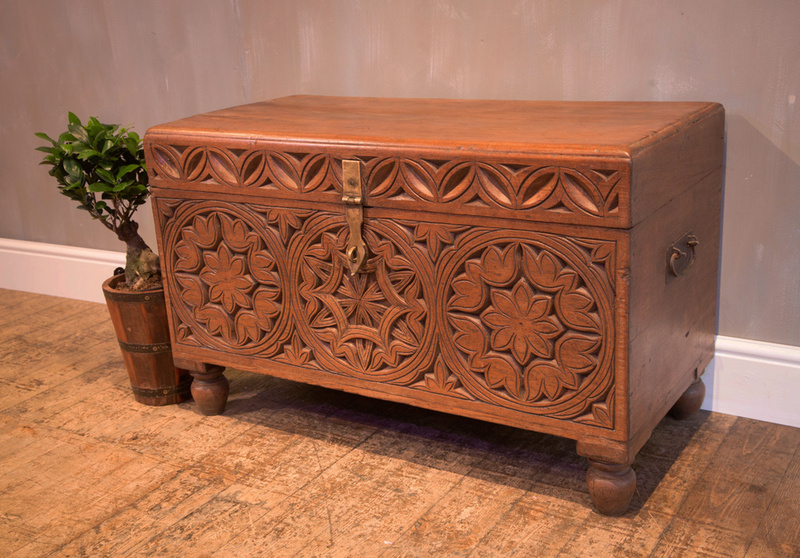 From this hand carved chest, to hand painted chests, gorgeous mirrors, cabinets, bookcases, antique doors, glazed cabinets, chairs and a fabulous round dining table! Colourful cushions will work well inside and out... and we have some beautiful crewel work footstools too. Visit us in store or online to discover beautiful accent pieces for your home. Indah Mango Wood is back!